Caulear Gumshields fit comfortably as it is made from an accurate impression of your mouth. 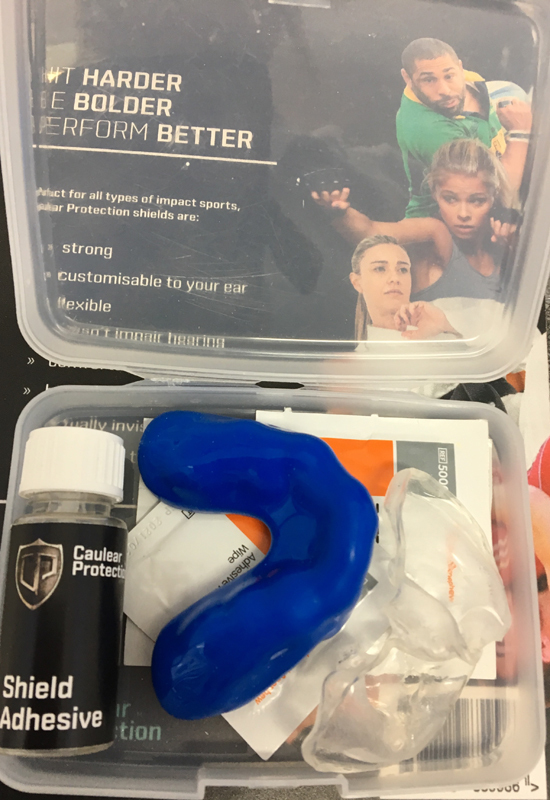 The gumshield acts as a shock absorber during impact, distributing the force therefore reducing the risk of injury. Direct impact to the upper jaw which, if unprotected may result in damage to or loss of teeth and the possibility of concussion. Indirect impact is a more common blow to the lower jaw which if unprotected can send shockwaves through the skulls, fracturing the front teeth, while other, more severe injuries can result in serious trauma such as concussion, jaw and gum damage. This is why athletes who use gumshields are at less risk of serious injury following a blow to the face.